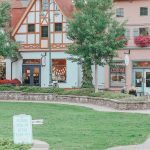 A huge thanks to our friends at Spin Master for sponsoring today’s post. 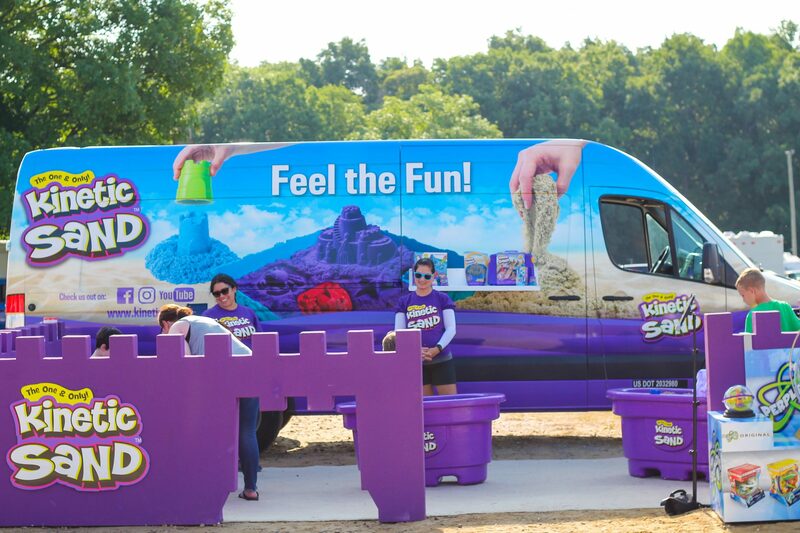 Keep scrolling to see more of the Kinetic Sand ‘Feel the Fun’ Van Tour! 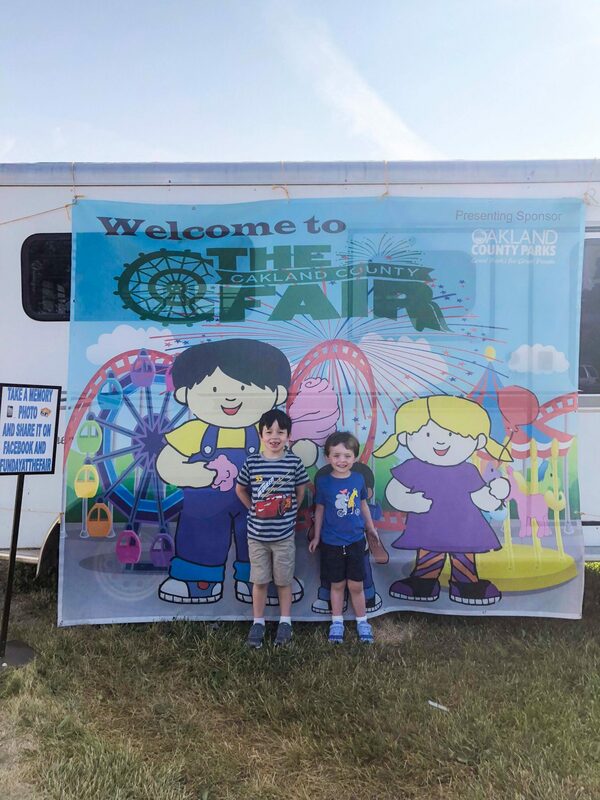 If you follow us on Instagram you might have seen that a few days ago our family visited the Kinetic Sand ‘Feel the Fun’ Van Tour at the Oakland County Fair (watch the Instagram Stories here). 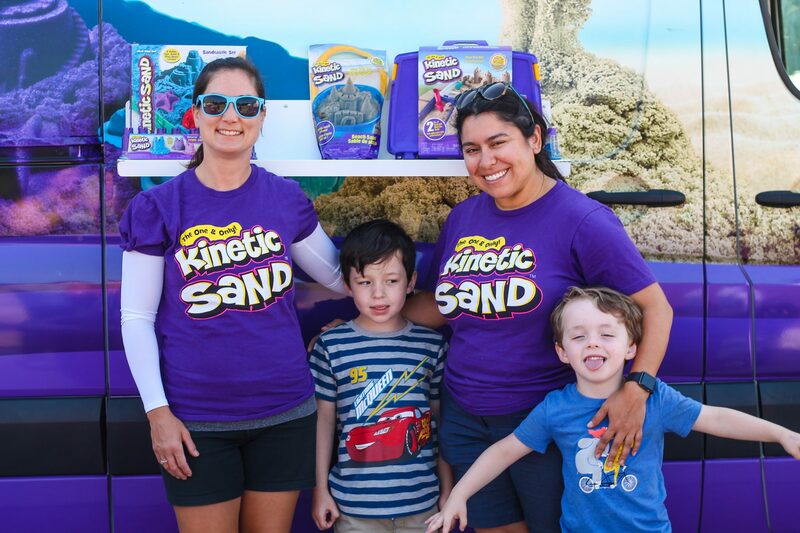 We had SUCH a blast hanging out with the Kinetic Sand folks learning about the tour, what the experience is like, learning about the different stations available, and most importantly, playing with the sand! Kinetic Sand is already something that we have in our household, so the boys were already very familiar with it. 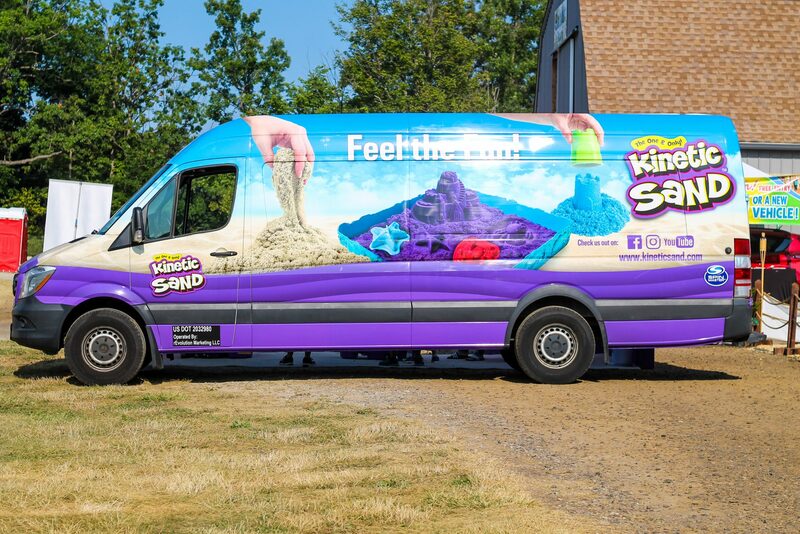 They couldn’t believe how much sand there was out to play with and they thought it was so cool that the whole tour packed right into the van. 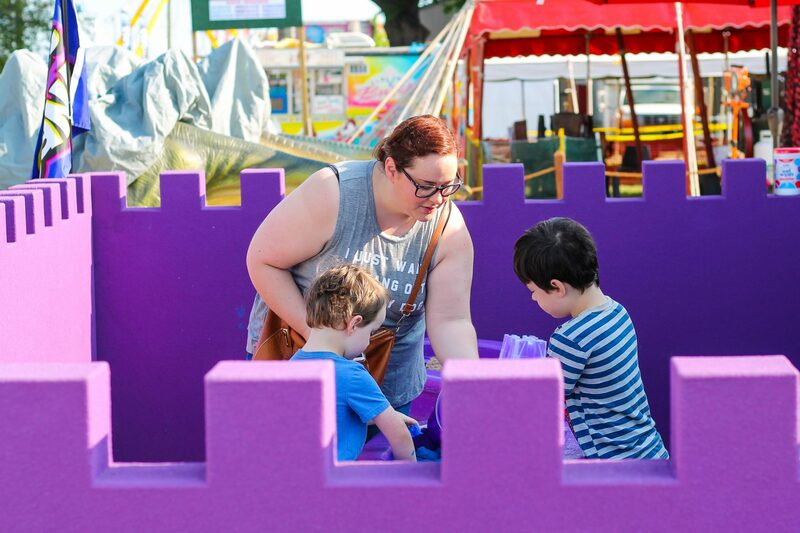 It was so neat because the whole set-up looked like a purple castle, the boys loved that, especially since purple is Levi’s favorite color! 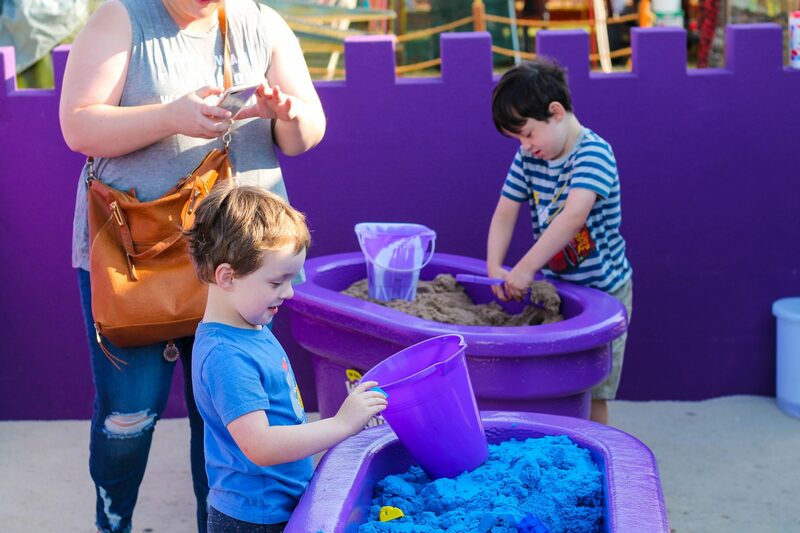 There were two sand stations and one Perplexus station (you can see it right outside the castle walls) that the boys got to interact with. Perplexus is something we’d never seen before and the boys thought it was just the coolest! 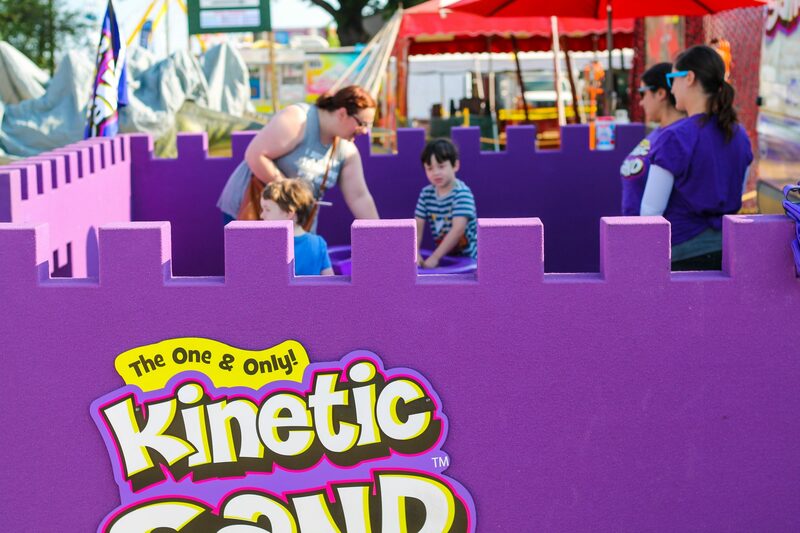 It’s a marble maze inside a ball that you can twist, turn and navigate through, super cool! 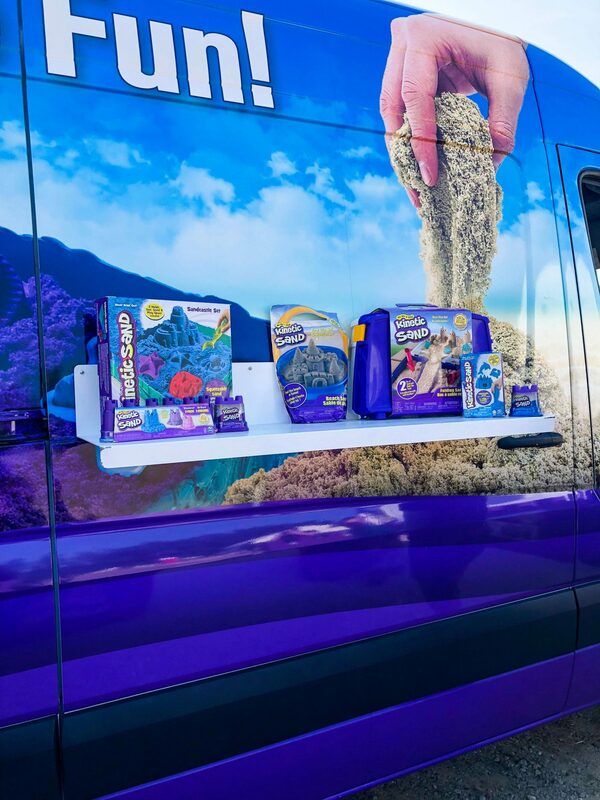 If you’re not familiar with Kinetic Sand, you’re missing out on a lot of fun! It’s got the feel of wet sand but doesn’t stick to hands. 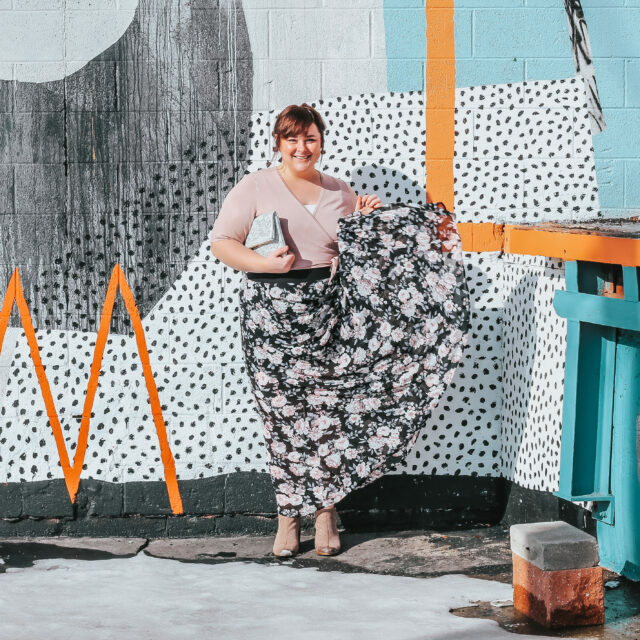 It’s easy to mold, non-transferrable to clothes and it’s simple to clean up (which moms everywhere love) because it sticks to itself and nothing else. 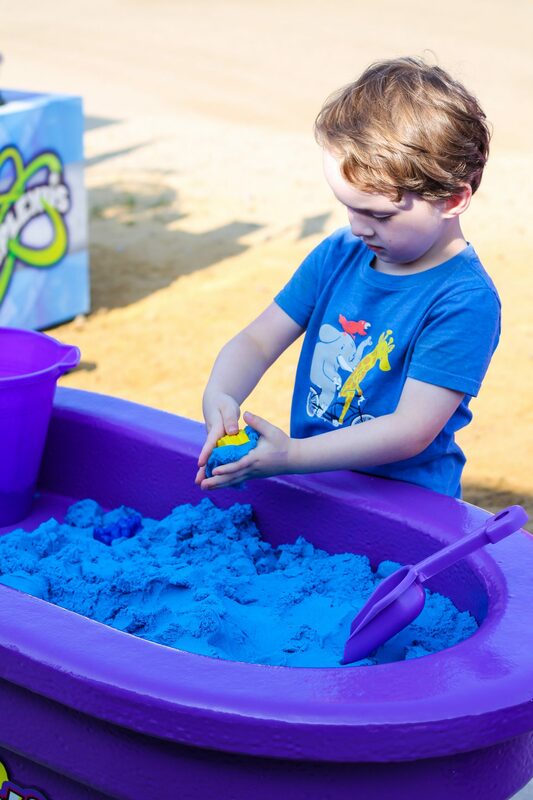 It’s great for stimulating the creative skills of your kiddos giving them the freedom to create with an array of colors from bright neon to shimmering metallic sand that sparkles and shines. Regular sand just doesn’t compare, you’ve just got to feel the difference! 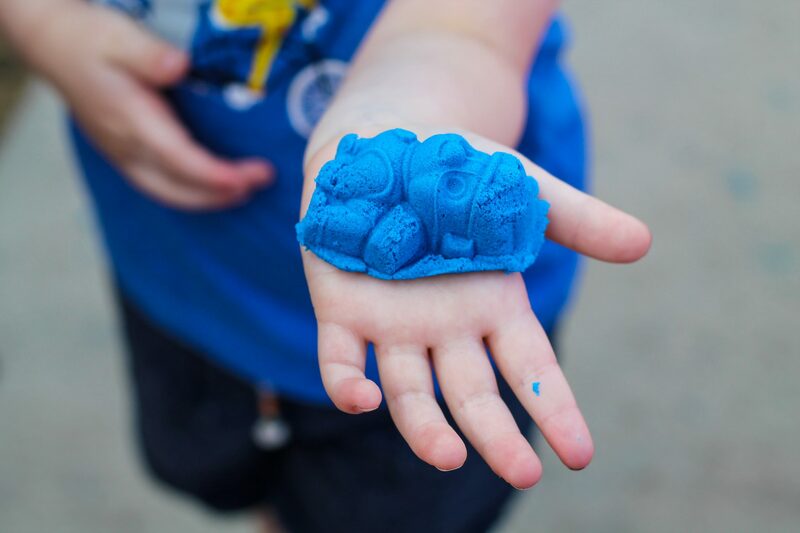 We love to use Kinetic Sand at home as a sensory activity for the boys. As you know our oldest son Wyatt has Autism so for him playing with Kinetic Sand is soothing and stimulating all at the same time. He loves how it moves and melts right in his hands and feels like real sand but leaves his hands clean and dry. 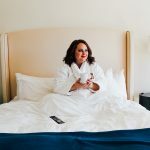 And as a mom, I love it because it keeps the kiddos busy (so I can have that cup of coffee hot) and no mess. 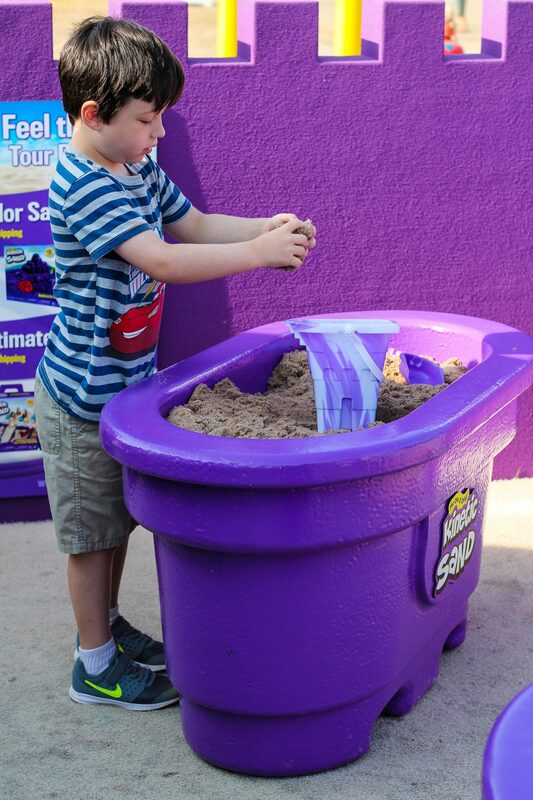 Mom Tip: I love putting Kinetic Sand in large bins for the kids to play with at home so it’s contained and we can just pop the top on and store it for later. 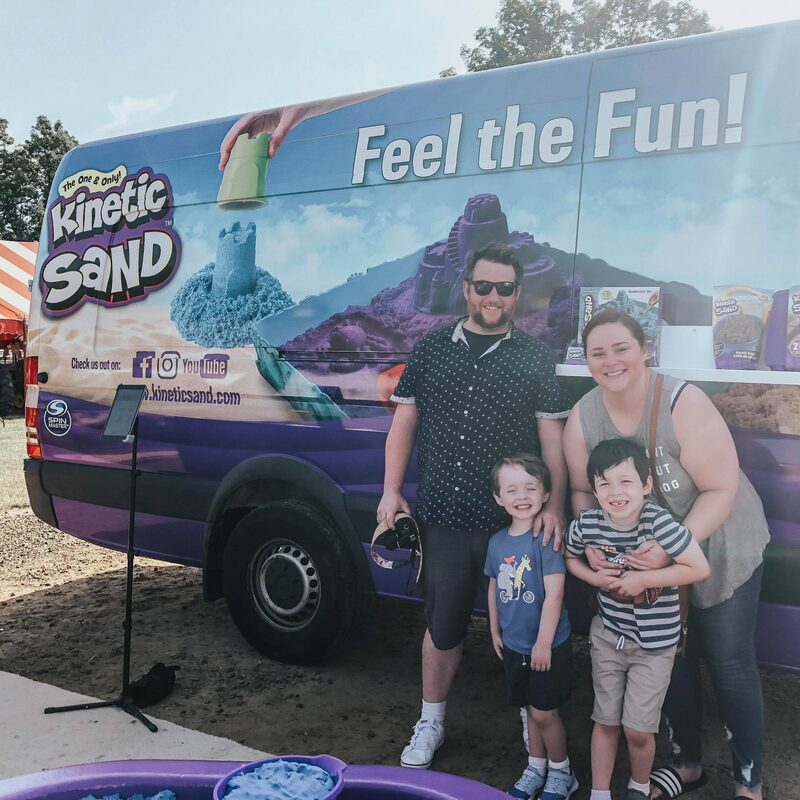 The tour also has some special bundles for sale that you can purchase right from the van, so if your little one falls in love with kinetic sand (which they will) you can purchase it right from the tour and have it shipped right to your house, cool huh? 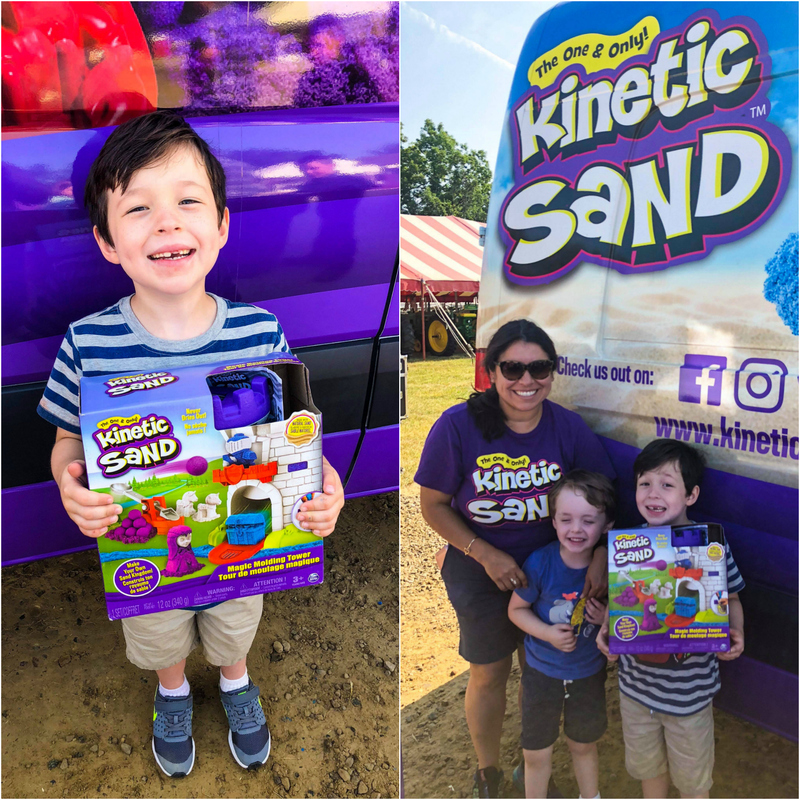 The boys were gifted a play-set to bring home (you can see it in our Instagram stories here) and had such a fun time bringing home some new kinetic sand to play with! 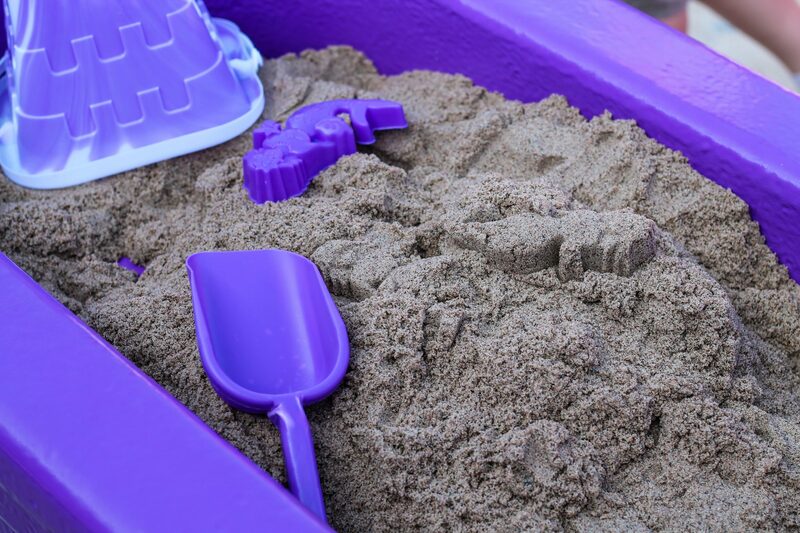 Mom Tip #2: Have your kiddos grab their favorite toys from around the house to explore with in the sand. 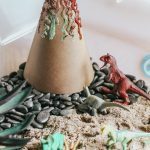 My son Wyatt loves using his diecast cars with the sand, and Levi loves creating a “dinosaur land” using his dinos! 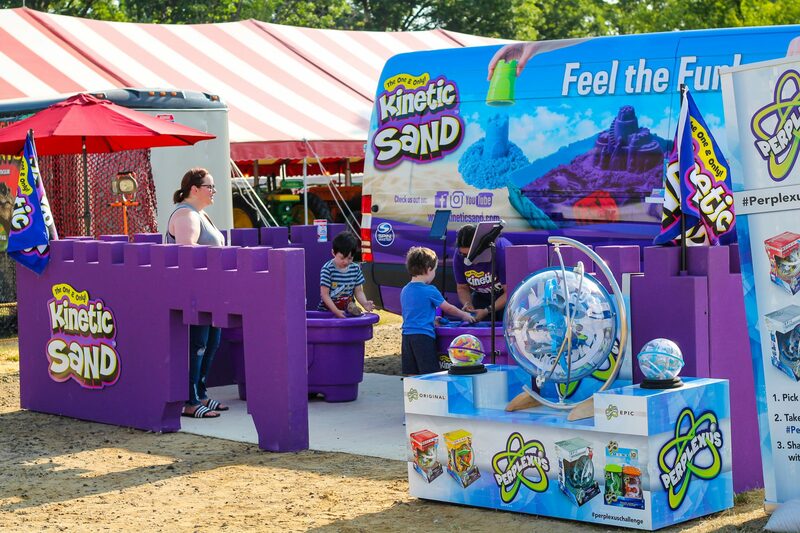 If the tour isn’t stopping near you, no worries – you can still pick up some Kinetic Sand at any one of these places! 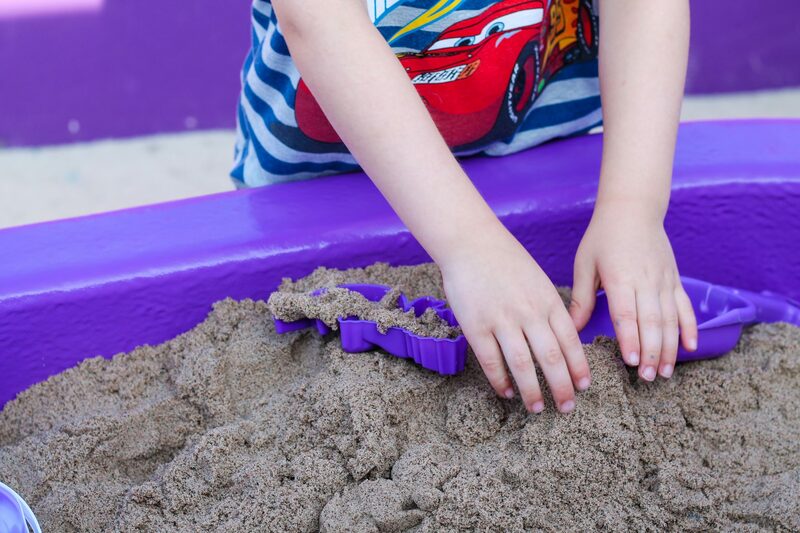 BELIEVE me mommas, you want to pick up this fun sensory activity for your kiddos! They will LOVE it!